​Children are extremely receptive. They react with zealous curiosity to all things new and interesting. Boys and girls laugh, clap, and jump up and down when a parent accidentally hits his or her head in cartoonish way. Children cry with no reservations when they’re hurt or sad, and they express their emotions as naturally as they come. This is why it’s important in the field of dentistry to create an environment suitable and welcoming to children. 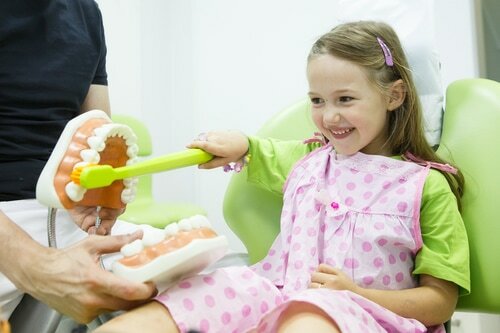 If a child is comfortable in a kid-friendly dentist’s office, the common anxiety that surrounds dentistry is dampened, and the kids can begin to relax before going through any dental procedure. Pediatric dental care exists because children are so receptive to people and their environments. A scary story or a fairytale ignites a child’s imagination while an adult has learned to perceive the story as just that; a story. For this reason, children are especially prone to high levels of anxiety in new and seemingly uncomfortable environments. The cold, sterile look of a normal dentist’s office spells trouble for most kids (and many adults), so pediatric dentists work to fight the stigma and build a relationship with the children that is based on trust in a kid-friendly environment. In addition to bringing children into a warm and welcoming environment, certain patients will require sedation to complete dental procedures. Sedation is a safe and effective way to help a child relax so that that Dr. Derek can give the procedure 100% of his attention. Sedation is helpful for young children, children with high levels of anxiety, and special needs children. Sedation is nothing to fear. There are several types of sedation to choose from so that your child can get the best care while in a deeply relaxed state. Nitrous Oxide, oral sedation, and general anesthesia work in different ways. Talk to your pediatric dentist about the different options available so you can figure out what might be best for your child. Cool Mountain Kids Dentistry has dealt with many fearful patients over the years. However, children have highly active imaginations, and the sounds and sights present can seem to be something out of a scary movie. By placing kids in a comfortable setting, the process of administering nitrous oxide is simple. At Cool Mountain Kids, kids get to lie back in a chair and look up at cartoons from the television mounted on the ceiling. A mask with a fun scent is placed over the child’s nose, and the child breathes the gas as the sedative takes effect. A tingling sensation in the fingers and toes and a case of the giggles are common effects of nitrous oxide. Nitrous Oxide or “laughing gas” is a mild sedative that is easily eliminated from the body. Patients are still conscious and can verbally communicate with the dentist, all while feeling calm, relaxed, and a wee bit silly. The effects wear off quickly, and the American Academy of Pediatric Dentistry recognizes nitrous oxide as a very safe way to treat children's dental needs. In cases where the child is extremely resistant, apprehensive, or incapable of cooperating during dental treatment, general anesthesia can be an effective option. Unlike nitrous oxide and conscious sedation, general anesthesia puts the child in an unctuous, deep sleep. This more extreme level of sedation is performed in a hospital setting only, and carries greater risk. However, it may be the best option for your child if they are in need of a procedure but cannot cooperate while in a conscious state. Take the time to discuss the different dental sedation options available to your child with Dr. Derek. Every treatment plan is different and it’s our goal to provide the highest level of comfort to your children during dental procedures. Call now to schedule a consultation or visit our website CoolMountainKids.com.